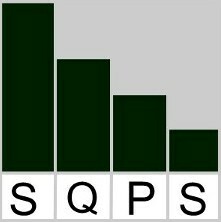 SQPS Ltd. offers a variety of online resources, presentations and downloads to help get you started on a leaner quality system in your workplace. These resources are available for download immediately by clicking on the links below. Our main goal is to lead companies to continuous improvement and encourage you to do your best quality work. We offer presentations that covers topics such as the cost of quality, design of experiments (DOE), statistical process control, lean / quality systems and more. A sample of our presentations can be found below. This is a review of how to properly conduct a process capability analysis. ASQ-Columbus – 2013. This presentation introduces what it takes to comply with ISO 14001. Below, you will be able to download tools to assist in the continuous improvement and auditing of your company. Use this Excel template to document your A3 (7-step) continuous improvement project or corrective action process. Please see next one with example. This A3 template from SQPS contains a complete example. Learn more about how to audit a process or procedure within a company. Use this worksheet to audit a process or procedure within a company. A full example of a calibration process audit.